Fitted with a superb AL-KO reciprocating safety hedgecutting blade, this tool will immaculately trim your hedges year after year. 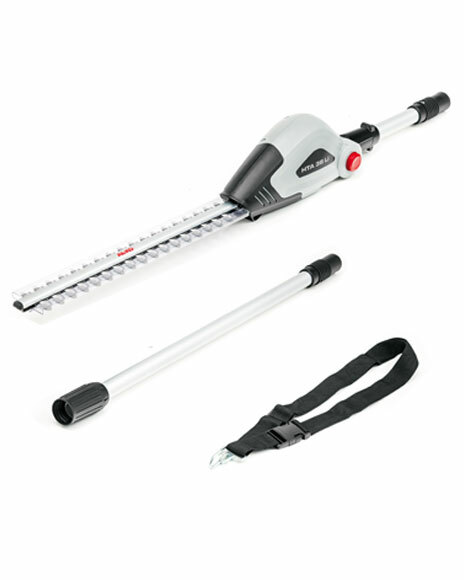 Its reach allows you to trim your hedges up to 3.5m high without the use of a ladder. This attachment is complete with a shoulder strap for extra comfort. Long Reach means tall hedges can be trimmed safely without the use of a ladder. The hedge trimmer’s low weight and balanced centre of gravity make it easy to manoeuvre in different positions.